With baseball season upon us, players everywhere will be grabbing their gloves, bats, and cleats to head over to the nearest diamond. Keeping track of all your equipment can sometimes be a trying task, particularly if you’re in a rush out the door. Today’s top Baseball and Softball brands have addressed this issue, taking the convenience of a backpack and combining it with the effectiveness of a traditional equipment bag. The Batpacks, as they are often referred to, have become a staple for most players who need to transport their gear from place to place. With space for bats, gloves, cleats, and helmets, these bags keep everything together in an organized fashion. But deciding which Bat Backpack is going to suit your needs best can be as complicated as hitting a curve-ball. To make this process as easy as possible, we’ve put together our Top 5 Baseball Backpacks from the leading manufacturers. Broken down by their different design features and value, choosing your next bag is simpler than ever. the perfect bag for a baseball beginner. Complete with all the standard features like dual bat holders, felted valuables pocket, and J Hook fence clip, this backpack has space for the essentials. This bag is ideal for newcomers in part because of its simplistic design. It gets what you need, where you need it, without complication. It is also at a price point that allows you to confidently purchase, knowing you’ve got a great value from a brand like Mizuno. The Series 7 Stick Pack from Louisville Slugger is an excellent option for any ball player. With plenty of room for all your gear in the main compartment, an additional cargo pocket in the front is great for those who require extra space when headed to the ball park. Two Neoprene bat sleeves offer additional protection to your bats during transport, and the padded back straps make this Backpack comfortable to carry. Easy to load from the top and available in 8 different colors to match your team colors. Under Armour has quickly become one of the most popular brands in baseball. What’s noticeable in the Undeniable Bag, as with their other products, is that performance driven technology is featured in all of their designs. Using the same water resistant STORM treatment found on their rain gear, this backpack was developed to keep your equipment safe and dry. 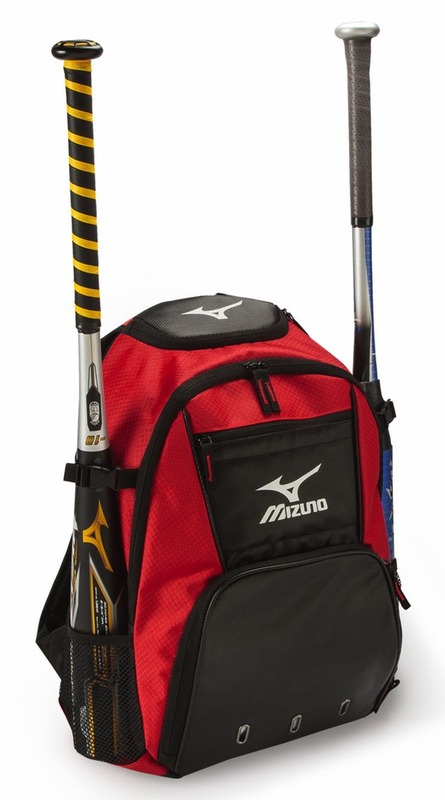 Space for 4 bats and a helmet/cleat specific compartment lets you store everything you’ll need. The DeMarini Voodoo Rebirth is an exceptional combination of performance and value. 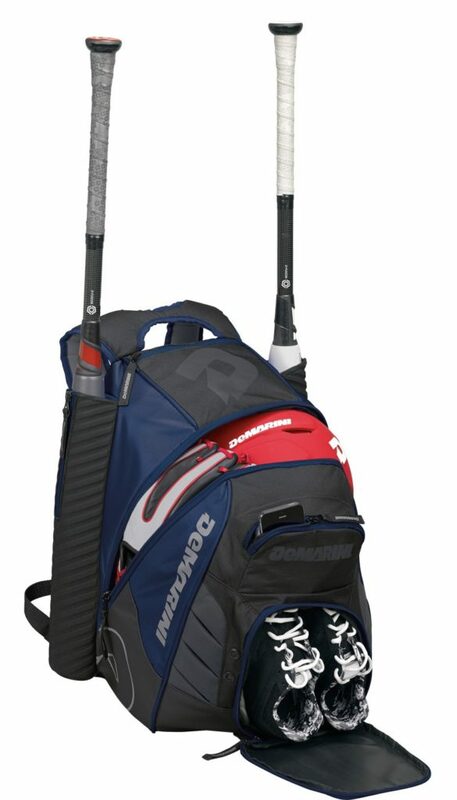 Loaded with features that are found on more expensive bags, the DeMarini is unsurprisingly one of the most popular bags on the market. A generously large main compartment, neoprene bat sleeves, and vented cleat compartment are all wrapped in a waterproof shell. Spacious, durable, and easy to transport, the DeMarini Voodoo Rebirth is a standout amongst others. 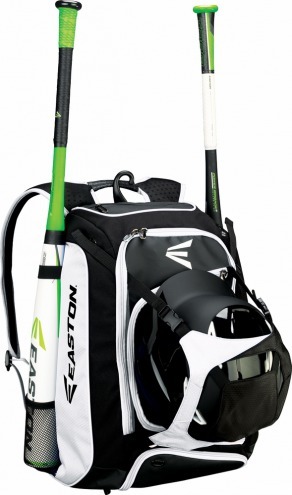 It’s no coincidence that Easton named their most popular bag the Walk-Off, as it’s undeniably a winner. Two stand out features make this our top pick in a very competitive market. Firstly, Easton has designed an external helmet holder that has freed up valuable space for you to store more equipment inside the bag. Secondly, an additional external padded compartment in the back is ideal for large valuables like a laptop, or extra clothes. The addition of these two space increasing designs, paired with today’s baseball backpack standard features, make the Easton Walk-Off our first choice in getting your gear to field. 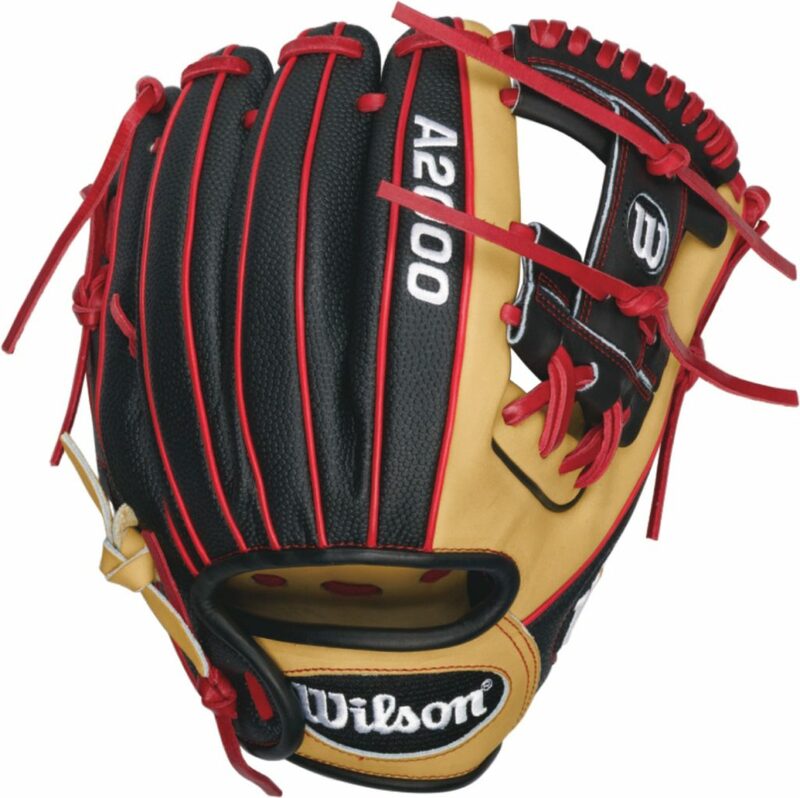 There is no arguing Wilson’s place among the leaders when it comes to producing high end baseball gloves. Countless Major Leaguers turn to Wilson for their glove needs, speaking volumes to the quality and performance of their products. 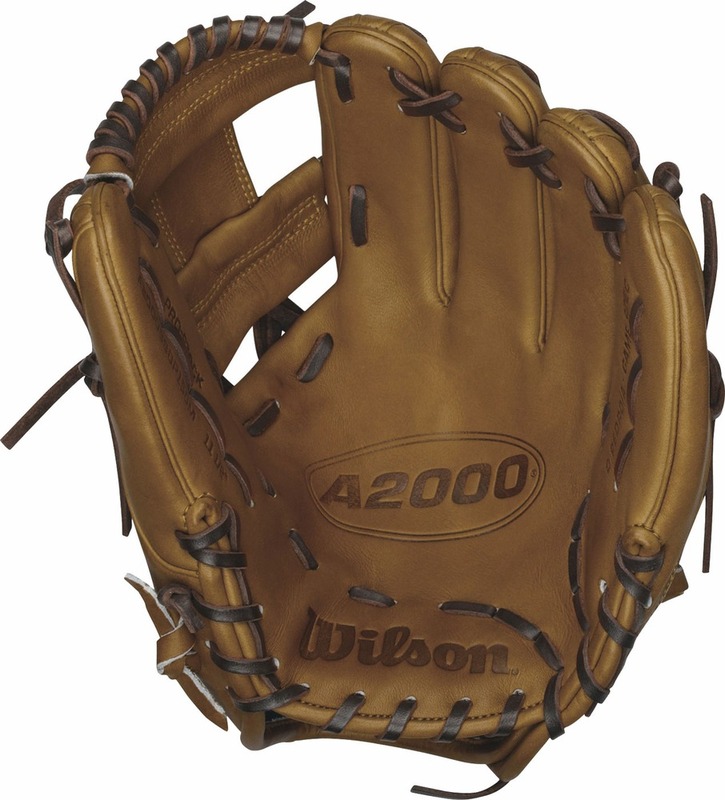 When you think of Wilson baseball gloves, the first thing that comes to mind is the A2000. 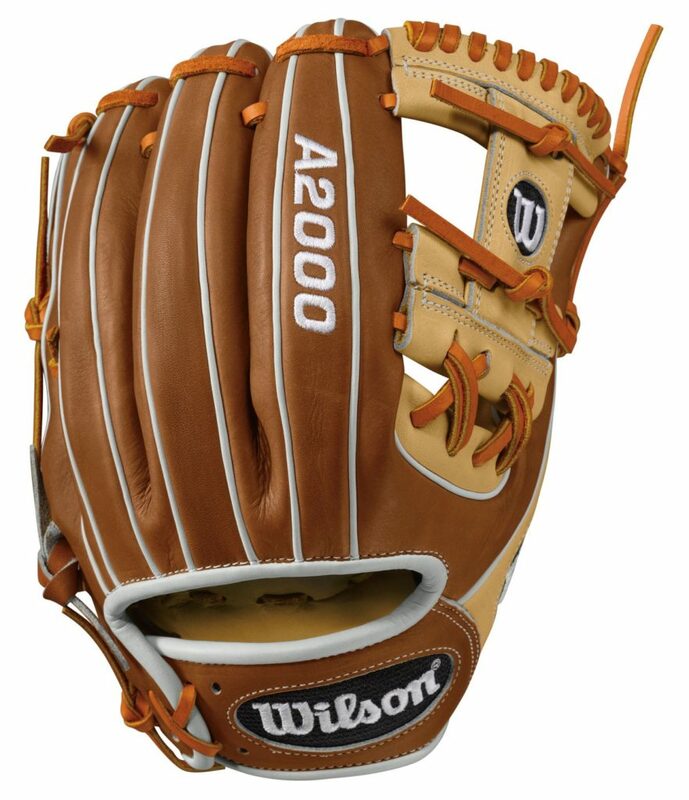 Since it was first released in 1957, the Wilson A2000 has become the benchmark for professional gloves. 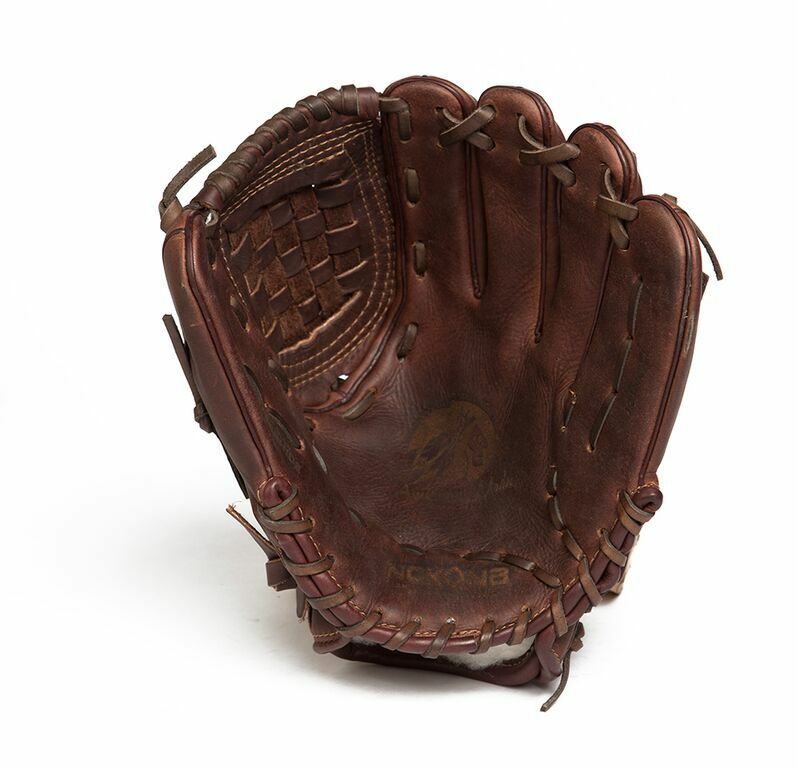 It was the first of its kind with a large web and broad pocket, and would be the foundation for every glove developed by any manufactures from that point on. Fast forward to today, and you’ll see the likes of Dustin Pedroia, Miguel Cabrera, and Robinson Canó all wearing A2000’s as they compete with the world’s best. As you would expect, every pro has a particular fit and feel that they prefer. Wilson have always been persistent in acquiring feedback from professionals, allowing them to develop an improved product. Some of the headliners on their roster of MLB players have even been giving their own Game Models, which are produced for the masses. It should come as no surprise that these particular gloves have become some of the most popular on the market. If it’s good enough for these guys, surely it’s good enough for me? 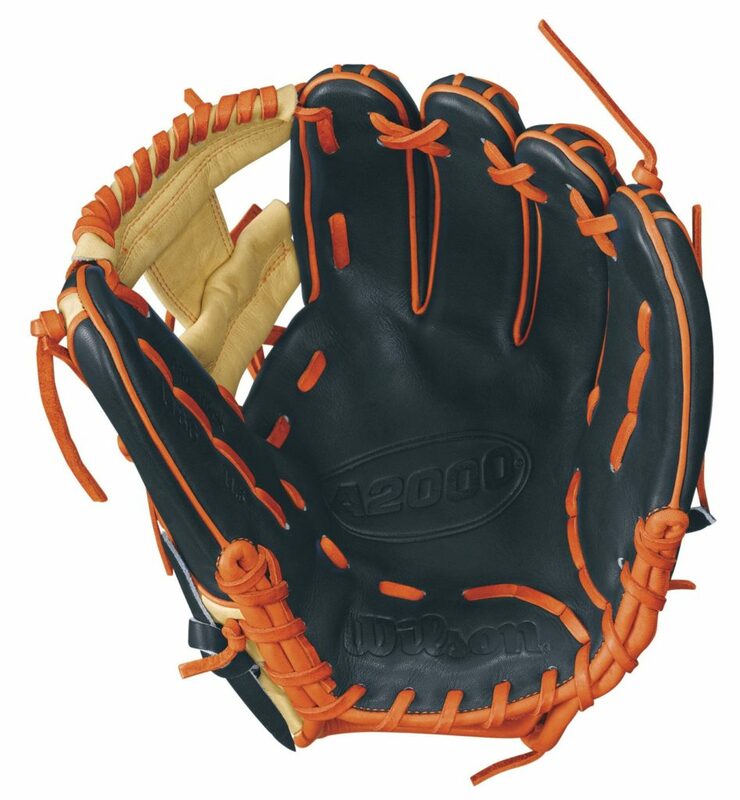 So as you prepare to purchase your very own Wilson glove, perhaps you want to know a bit more about what makes these Game Models different from the standard A2000. 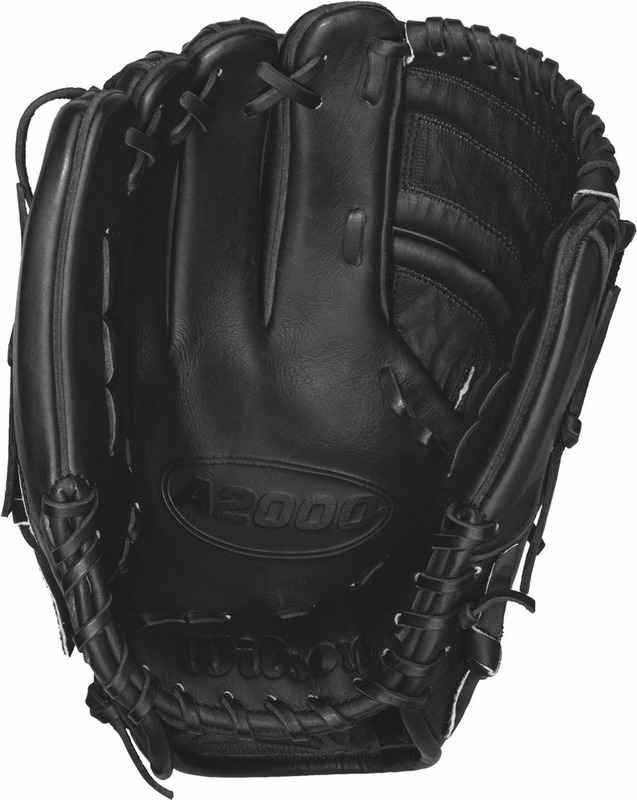 One thing you can expect from any of these gloves are a few of the cornerstones that come with any A2000. This includes the premium pro stock leather, selected for its durability and feel. Dual Welting, which adds two strips of leather to back of each finger to provide structure and stability as the glove breaks in. 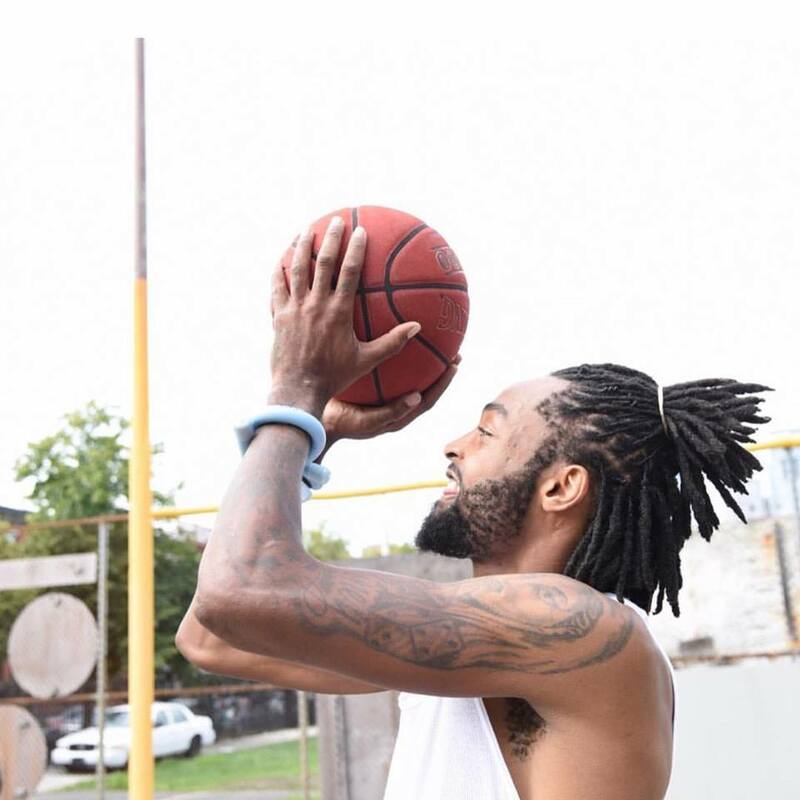 And finally, the Dri-Lex wrist lining keeps the hand dry and free of moisture. What sets the Game Models and standard gloves apart can usually be broken down into a few categories. Colors, web styles, and fit are the three ways most pro’s make these gloves their own. Color being the simplest to understand, most choose a colorway that matches their team or gives a traditional look. Jose Altuve features navy and orange leather to match his Houston Astros uniform, while Clayton Kershaw has opted for the traditional all-black. With today’s gloves, there are endless ways to lace up your web. 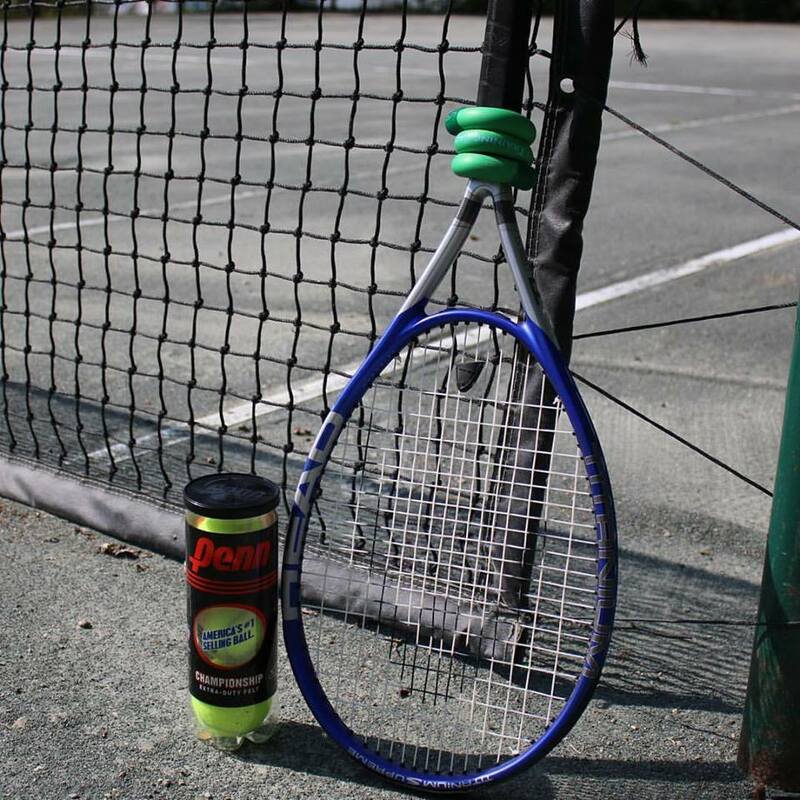 When it comes to the Game Models on the Wilson A2000, each player has chosen their own particular web that suits them and their style of play. Miguel Cabrera has gone with a signature V-Laced pattern on a wider single post web, allowing him to lock the ball in the pocket. Clayton Kershaw has selected a deep and closed 2-piece web that allows him to conceal the ball and any grip changes, granting him the element of surprise. The final way professional ball players have personalized their game model gloves is with the fit. No one is more particular with this category than Golden Glove Second Baseman Dustin Pedroia. Wilson developed the “Pedroia Fit” specifically for him, as his smaller hands required some custom features. This included a lower finger divider, narrower opening, thin heel pad, and longer laces. 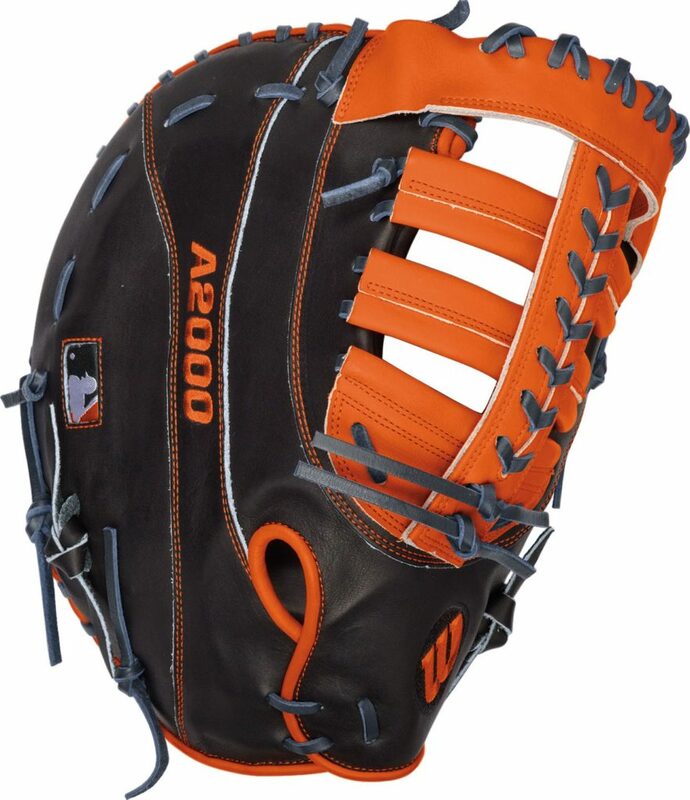 The Pedroia Fit is available on three A2000 gloves, one of which features Wilson’s SuperSkin, designed to lighten the glove without sacrificing durability. While you may not be fielding ground balls at Fenway Park anytime soon, that doesn’t mean your glove is any less important. Described by Jose Altuve as his “tool”, he carries his glove with him on the plane any time he travels. We know you feel the same way about your glove. Check out Sports Unlimited large selection of premium gloves from Wilson (click here for Wilson A2000 page), Mizuno, Rawlings, and More, to find the perfect glove for you. One of the toughest decisions made gearing up for the 2017 baseball season is which equipment is best for those behind the plate? 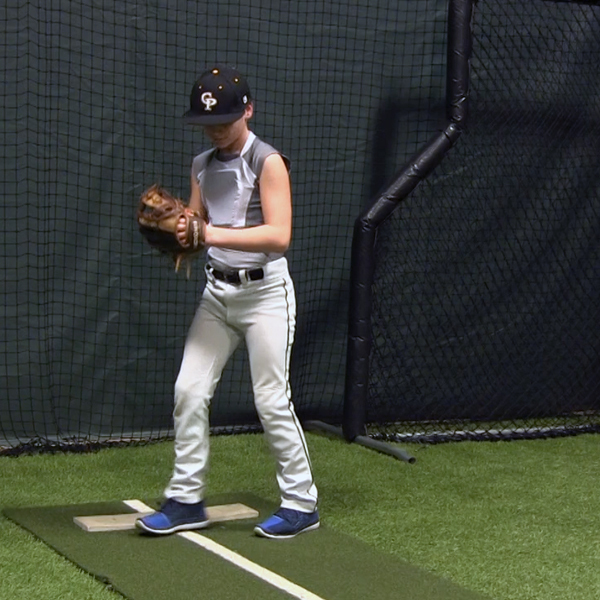 As kids continue to grow, sizing always becomes important, not to mention the significance of safety. 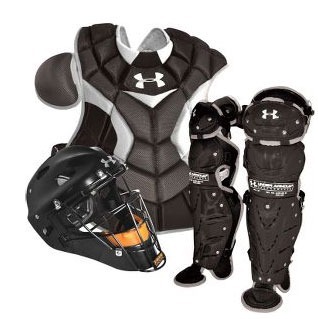 Today’s top baseball brands all manufacturer youth catchers gear sets to simplify the shopping process. 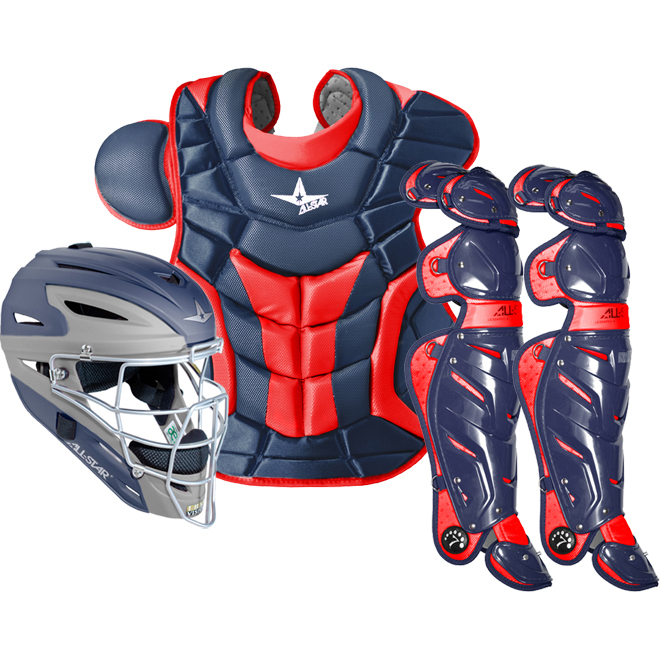 These catchers sets all include a helmet, chest protector, and leg guards. One question that still needs to be answered, what is the best youth catchers set for me? With such a wide variety of manufacturers and different lines, it can be a bit overwhelming deciding which set of pads to purchase. You can visit our Catchers Gear Buyers Guide to see exactly was size you’ll be looking for. Once you have that, you can review our selection of Top 5 youth catchers sets, to see which best matches your needs. The Series 5 youth from Louisville Slugger is everything you need from a youth catchers set. Featuring a hockey style mask that offers excellent protection and a moisture-wicking chin pad that keeps your little leaguer comfortable. The Chest protector is made with a high density foam and quick release over-the-shoulder harness make for east on and off. Complete with the double knee design shin guards for extra protection. 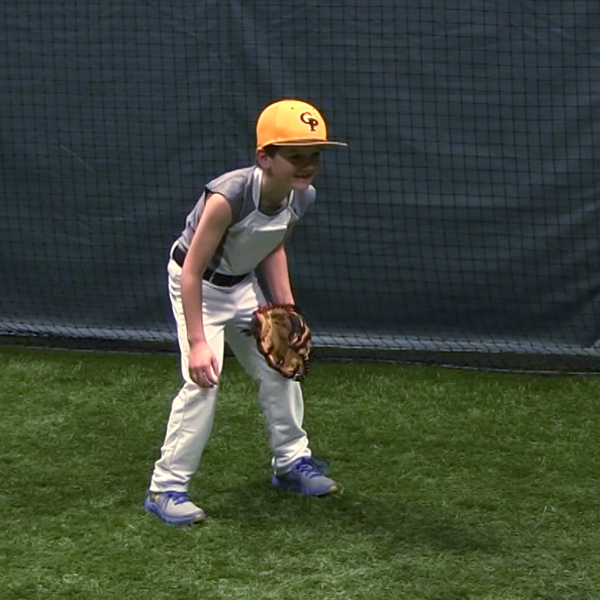 The Series 5 youth is perfect for a team set, or someone just learning the position. 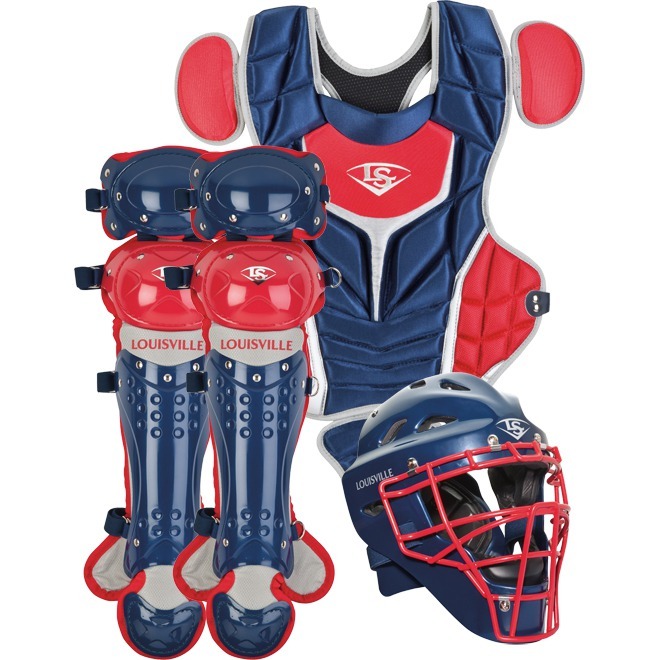 With a variety of color options and a friendly price point, the Louisville Slugger youth catchers gear set is an excellent value at number 5. 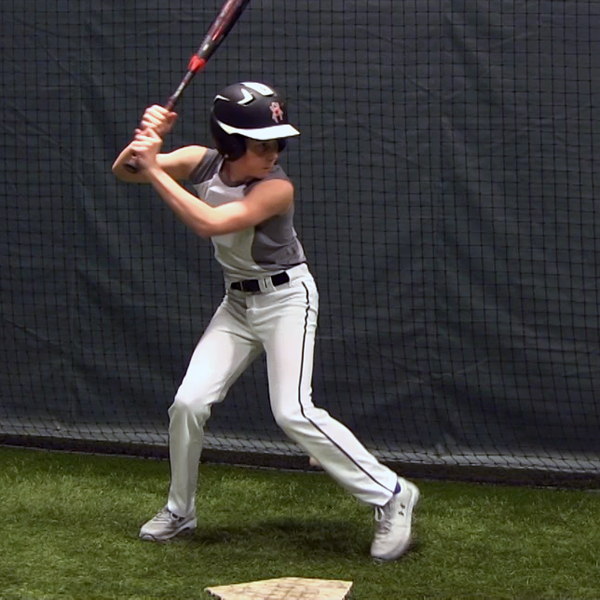 The M5 Qwikfit youth set offered by Easton certainly had parents and coaches in mind during its design process. The greatest feature to this set of helmet, chest protector, and leg guards is undoubtedly the Qwikfit strap system. Developed specifically to make for easy adjustments by the player, no longer are coaches or parents forced to help players get ready to go onto the field. This is particularly important if the set is being shared by a team with kids coming in different shapes and sizes. Offered with a range of other features that you would find on a higher level set, including steel wire cage for improved visibility, multi layer perforations to keep you cool, and a TruBlock anti-roll designed leg guard that increase stability and protection. 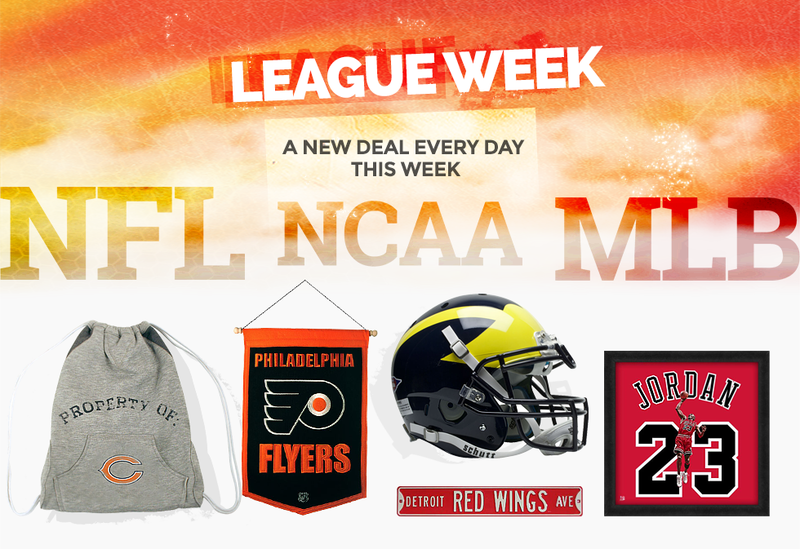 All of this, plus a reasonable price, make the Easton M5 Qwikfit youth gear our recommendation for the ideal team set. 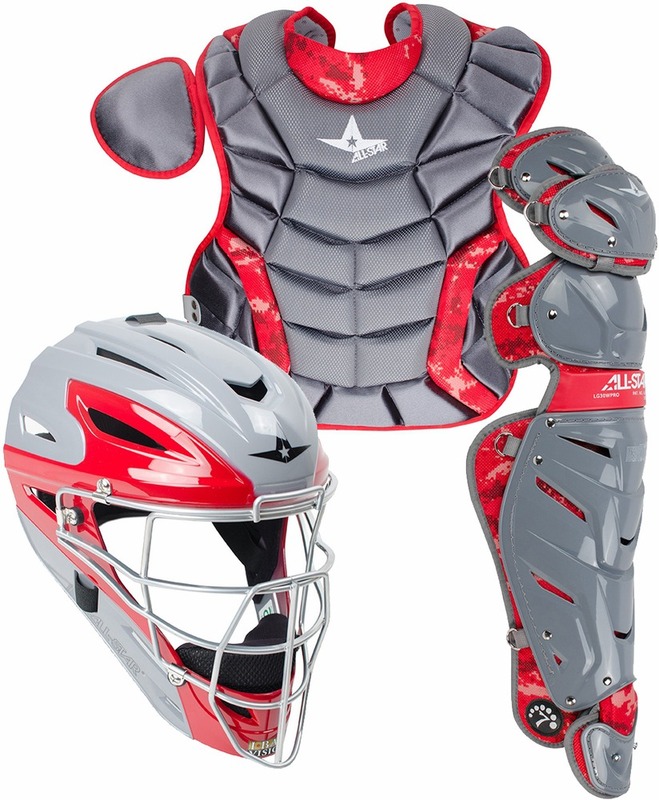 The All Star System Seven Youth Camo Pro Catchers Set is everything is sounds like and more. This set offered by All Star is essentially their professional level pads scaled down to fit a youth player. Everything from removable liners and an I-Bar vision cage on the helmet. To moldable protective plates in the chest protector and a Patella Plus gel knee pad in the shin guards. This catcher set has all the bells and whistles, and will outperform most sets like it. It finds itself at number 3 for one simple reasons. This set was designed for serious players, and the pricing reflects that. For most players at the youth level, this is probably more than they need. But if your a serious player on a travel ball club, than the All Star System Seven catchers set is the one for you. Under Armour has quickly become one of the most popular brands when it comes to baseball equipment. The reason for this is their dedication to designing cutting edge products that perform and protect. The Junior Pro catchers set follows in that tradition and provides an excellent option for all youth players. The helmet comes with the I-Bar vision from professional helmets with a sleekly designed ABS plastic shell. 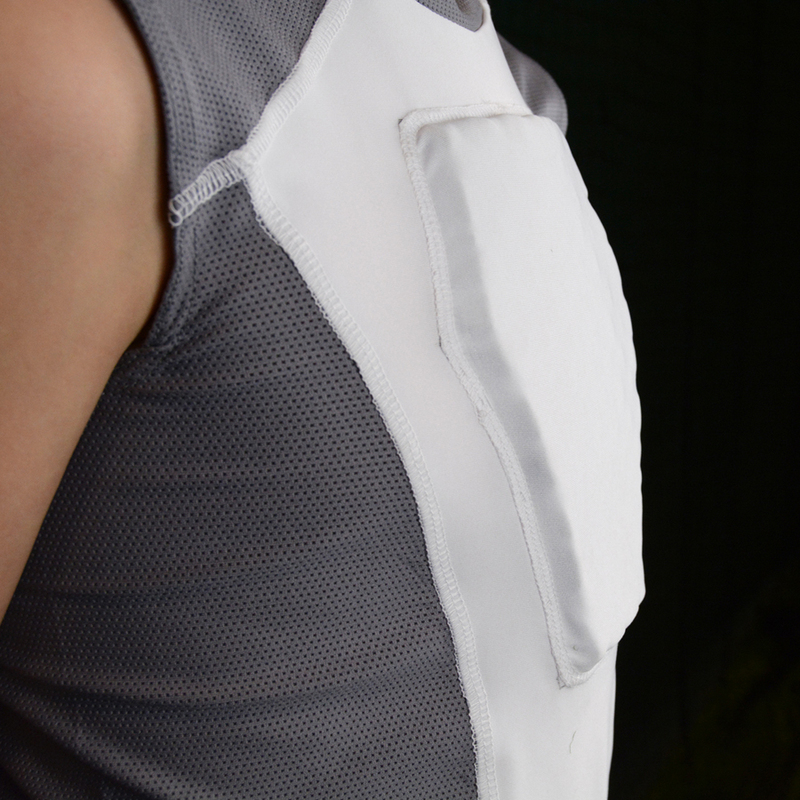 The chest protector has plastic inserts for extra protection and a customizable strap and harness system for optimal fit. Triple knee designed leg guards are extremely comfortable with 38 ventilation ports. Carefully designed from head to toe, the Under Armour Junior Pro could easily have been number, but still remains an excellent choice for any youth ball player. 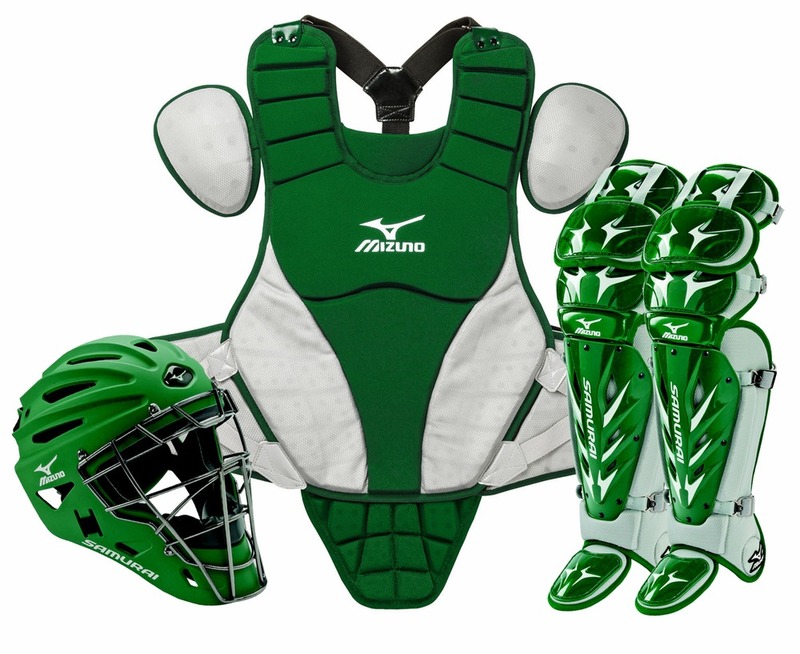 As our top choice for youth catchers gear, the Mizuno Samurai is easily the most popular set offered by Sports Unlimited. A perfect combination of protection, performance, personalization, and price; it’s no surprise the Samurai is king. 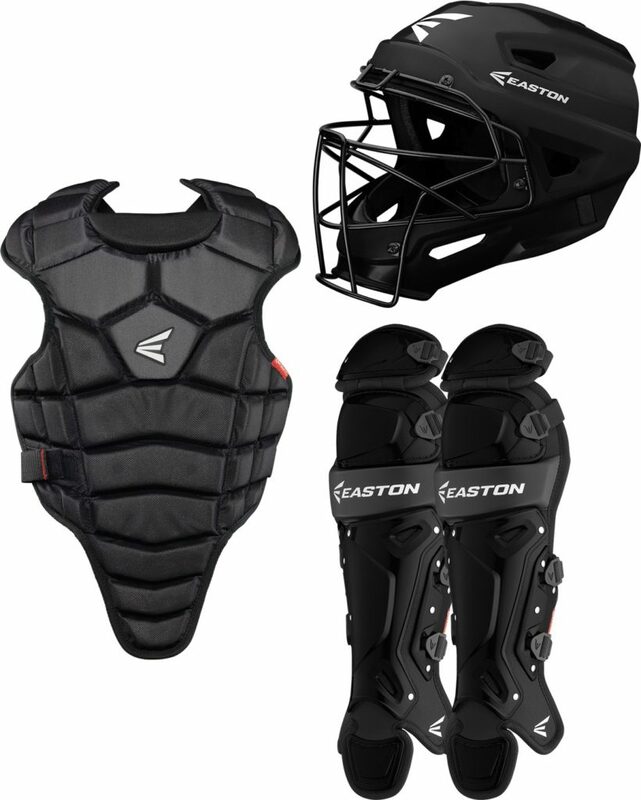 All the features you’d expect from a top pick; including 3-Layer EVA foam padding in the helmet, patented detachable wings for a customizable fitting chest protector, and flexible lightweight leg guards. What sets the Mizuno Samurai apart is the wide range of color options. No other set comes with a variety like the 17 colors offered by Mizuno. This allows you to match your team, or stand out. At a price that is competitive with the other top catchers sets, the Mizuno Samurai is our top pick for youth catchers gear set. Author AdministratorPosted on January 11, 2017 January 11, 2017 Categories BaseballTags Major League Baseball, Nokona, Nokona Baseball, Nokona Gloves2 Comments on Why don’t more Pros use Nokona gloves? With new 2015 baseball gear from Easton, Evoshield, Rawlings, Wilson, and more, our baseball selection is living in the future, but available today. With brand new bat technology such as the Easton Torq and Mako series as well as new glove designs and colorways, 2015 will be a year that showcases the future of baseball. There’s no doubt that the best new baseball gear gives players a level of confidence that can’t otherwise be found, but the real trick to becoming the best is by practicing like the best. One of our favorite pieces of gear this year is the Little League World Series Catcher’s Gear Set from Easton that was used in this past year’s LLWS. 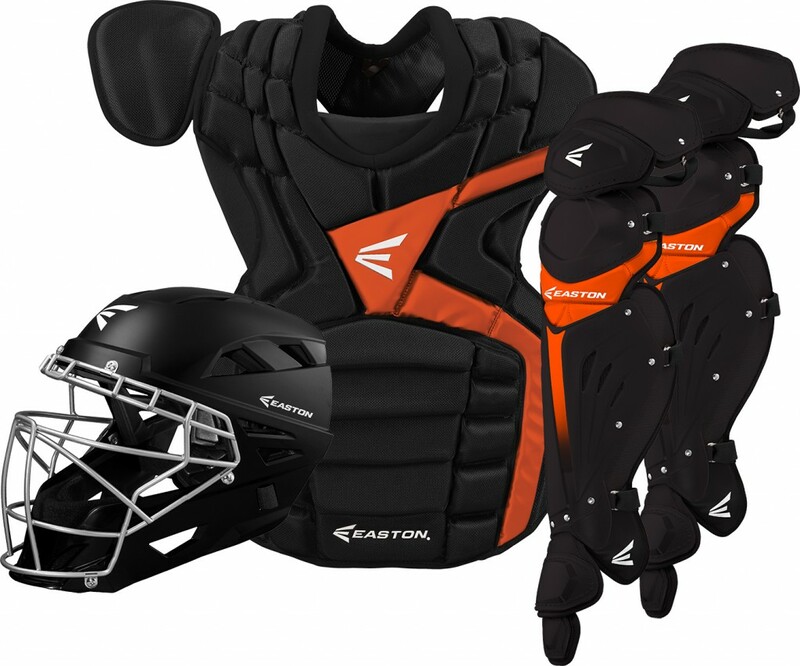 Using Easton Mako Chest and Leg Protectors as well as an advanced M7 Catcher’s Helmet, this catcher’s set is one of the best in the world and has the design and performance to back that up. Staying protected behind the plate is completely vital to being able to make successful plays and the LLWS Mako Set makes no sacrifices in protection while being designed to get the best performance possible from making snap throws, to blocks, to keeping cool and comfortable for the entirety of the game. 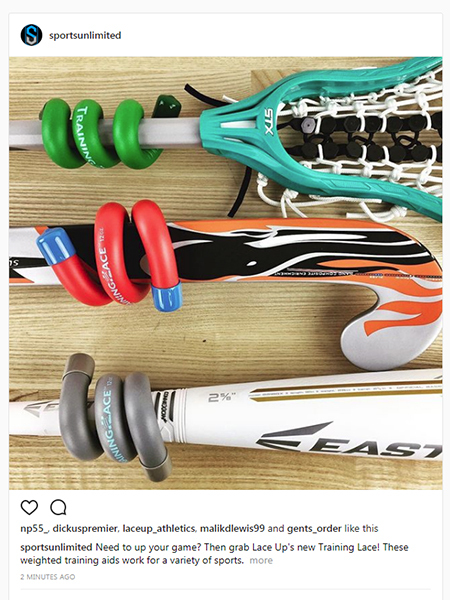 With multiple colorways, you can choose your team colors or just your favorite colors to make you stand out as the games best catcher. When it comes to youth baseball equipment, it doesn’t get much better. Get your 2015 gear early and get training. BFCM is usually a mad scramble for the best deals in stores and on the internet, but hopefully you’ll at least spend a little time with your family. Here’s a crazy idea: Get all of your shopping out of the way at one place, save a bunch of dollars, and have the ENTIRE day or weekend to spend with your family and friends. 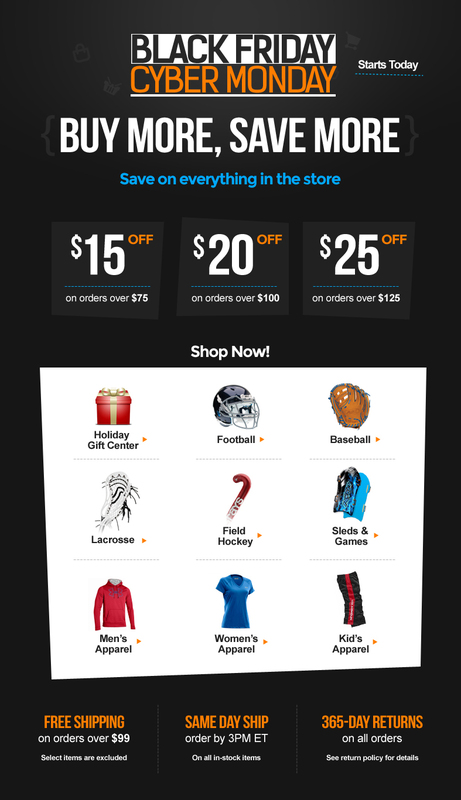 Apply these limited time saving to anything in the store from lacrosse equipment to baseball gloves to football cleats. Well, with that said, check out the image below for details on our BFCM sale and click anywhere on it to get to our store and take advantage of the deals.